Keeping ants out of our hummingbird feeder has been a long-time wish of mine … until last month! Last month I was visiting my mom, sitting on her back deck talking about birds and trees and gardening. At one point I mentioned how much trouble we were having with the ants on our hummingbird feeder. Honestly they’ve been driving me BUGGY! I lamented over the things we’ve tried: peppermint oil, ant bait, and my latest (total failure) ant moat. The ant moat was a total failure because of my design – it wouldn’t hold water so I put more ant bait in it. The darn ants barely had to sidestep to get past that one! “Have you tried Tanglefoot?” Mom asked – with a tone that sounded like everyone must know about it. “Ummm… no. How would I do that?” I honestly thought the stuff was only used to keep birds out of brickwork – since that’s the only application I have any experience about through work. I had no idea there was one for trees. Then my mom went on to tell me stories of how my dad found out about it and used it every year on their apple trees out on the farm. I wasn’t sure how it could be applied to a hummingbird feeder though. But I was sure that if they used it, it must be just the right thing! I’m pretty bright and my Handy Hubby is even brighter so I was confident we’d figure out how to use it on my hummingbird feeder! Finally a new ray of hope in my battle of the ants! 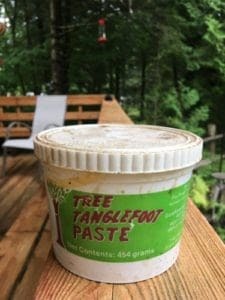 At the end of my visit, we went to the shed and mom dug out this old container of Tanglefoot and gave it to me to try. She thinks it’s about 20 years old! I did have some concerns about birds or other bugs getting caught up in the stuff so we found a way to make it less likely to bother anything but the ants. 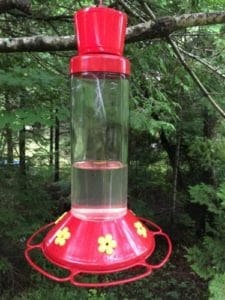 1 hummingbird feeder. We use one like this. 1 disposable knife or popsicle stick – something to spread the Tanglefoot with, you do NOT want to touch it! Poke a small hole in the bottom of the solo-cup. Make the hole big enough for the hanger of the hummingbird feeder to poke through but not so big that anything else will get through too. Using your disposable knife or popsicle stick, take about 1 tbsp of the Tanglefoot and spread it on the inside of the cup. Use enough to make sure there are no gaps in the goop that an ant could march through. Hang the hummingbird feeder and watch the ants resume their march … until they get to the Tanglefoot. I was shocked by how quickly they turned around and have never come back! Viola! Clean hummingbird water, happy hummingbirds and a super happy Cottage Wife! And it doesn’t look awful! Thanks Mom! P.S. Once the Tanglefoot has been there for a while – don’t look in the cup! It’s disgusting! Oh I’m glad I saw this. Now I have no idea what tanglefoot is. But maybe I can get some at a garden center? This is a great way and it really doesn’t look bad at all. If it keeps the ants away it’s worth it. Thanks for this handy hint. 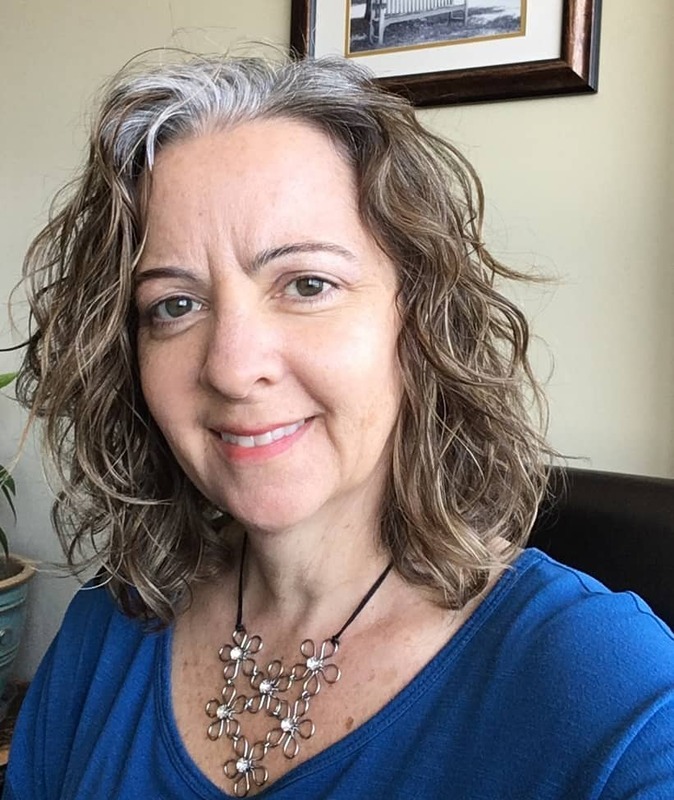 I’m going to share it on my Weekend Warriors Facebook page. I’m sure many more will appreciate this tip. I’m not sure about getting Tanglefoot at a garden centre – you likely could if they sell fruit trees. Failing that, try a local farm store like TSC or Co-op. Send me an update when you try it!